I have Robert Louis Stevenson to thank for my adventure fantasies. Stevenson published “Treasure Island” in 1883. 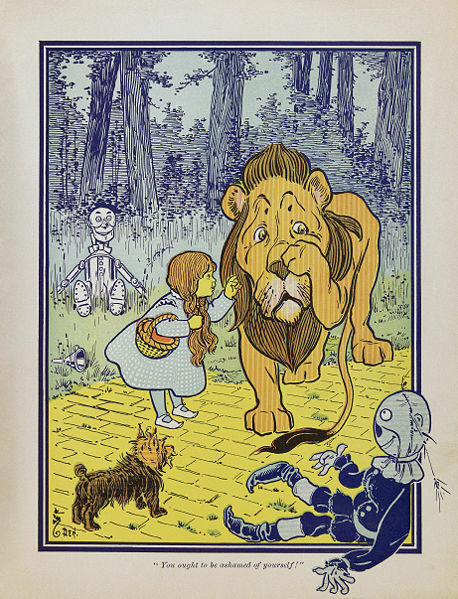 Since then, more than fifty movies and television shows have been made adapted from the book. No wonder there’s a “Talk Like a Pirate Day,” which is September 19. (See the link at the bottom to my post on “Avast, Me Hearty! It’s Talk Like a Pirate Day!”) A National Geographic story throws cold seawater on the concept of pirate speech, claiming that most of what we think of pirate speech came from the 1950 movie, as spoken by the Long John Silver actor who spoke in his native dialect from southwestern England, which is where Silver came from. So it’s not a stretch to think pirates, many from southwestern England, did speak that way. I’ve linked the NatGeo spoilsport article at the very bottom of this post. Argggh! I didn’t make a plan to follow Stevenson’s literary footsteps, but I have stumbled onto a few “Treasure Island” locations. On a trip to Savannah, Georgia, my husband and I visited “The Pirates House,” now a restaurant. This charming old building is reported to be where some of the characters of “Treasure Island” got together to plan and plot, and where Captain Flint is claimed to have spent his last days. Legend says that Captain Flint’s ghost haunts the property. We didn’t see old Captain Flint, but we got out of the building before nightfall! Pirates from long ago have achieved a romantic patina, but they were ruthless murderers and thieves. 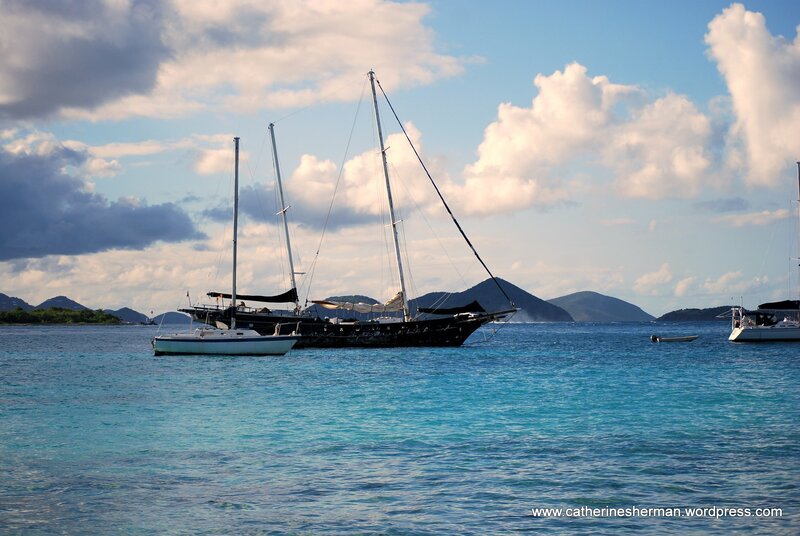 We identify with the adventure and the hunt for treasure rather than the pirates themselves. 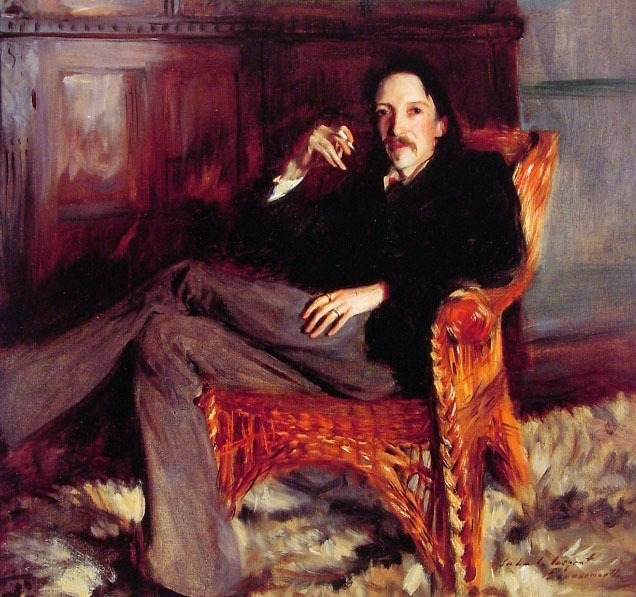 Robert Louis Stevenson visited northern California, the Hawaiian Islands and died in Samoa, but I haven’t found any evidence he visited Catalina Island. 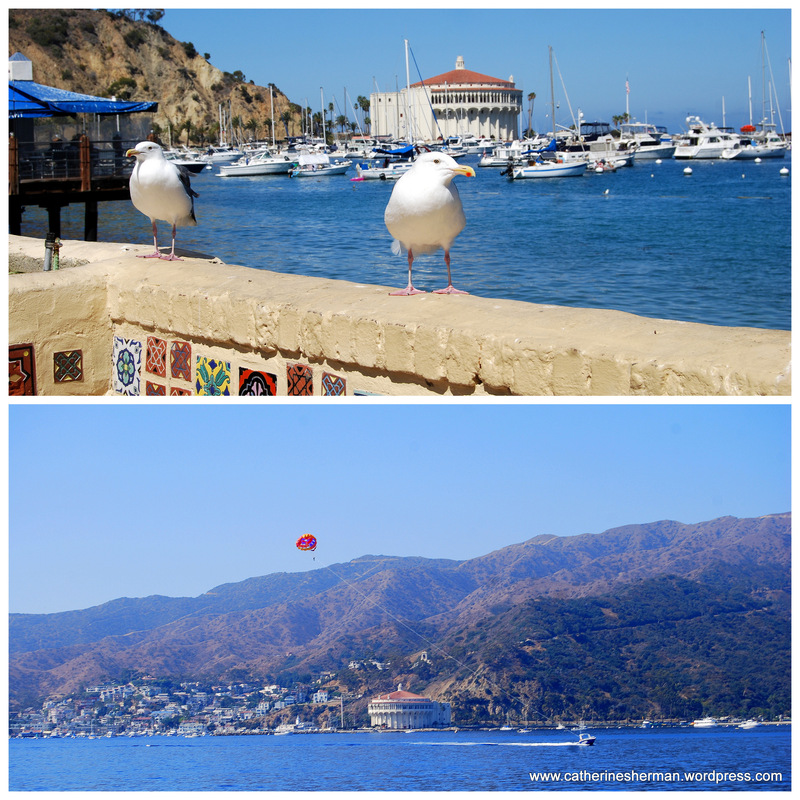 A 1918 “Treasure Island” movie was filmed on Catalina Island, which has its own history of a treasure map and hidden gold. At a theater production I attended of “Treasure Island,” the playbill noted that “Shiver My Timbers” and other such oaths were child-friendly substitutions for more salty language. Child-friendly or not, “Shiver My Timbers” was an actual nautical exclamation, describing the shivering or splintering of the ship’s boards, either from storms or battle. On a trip to the U.S. Virgin Islands, I found a history of Treasure Island in one of the tourist brochures, which led me to the story of Owen Lloyd. Treasure Island — The Untold Story Other areas have claimed to have inspired Stevenson, included Napa, California, where he honeymooned with Fanny Vandegrift Osbourne, after their wedding in San Francisco. A park there is named after him, which I’ll be visiting soon. Stevenson was the son and grandson of lighthouse engineers, but he preferred to leave the safety of shore behind him when he became an adult. 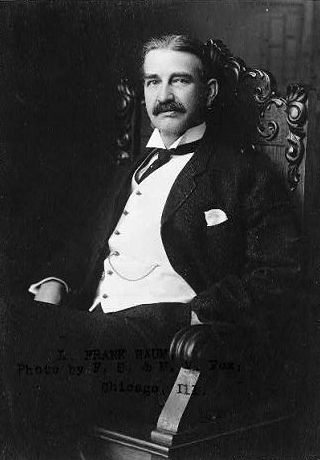 He was a frail person, who spent much of his youth in the “land of the counterpane (bedspread)” Despite his poor health, he traveled widely, spending a lot of time on sailing ships, saying “I wish to die in my boots…..” He got his wish, dying too young at age 44 in Samoa where he had made his home. Stevenson is ranked the 25th most translated author in the world, ahead of fellow Victorians Charles Dickens, Oscar Wilde and Edgar Allan Poe. Savannah, Georgia, is mentioned several times in Robert Louis Stevenson’s book, “Treasure Island.” Some of the book’s action was said to take place in “The Pirates House,” one of Georgia’s most historic buildings. The building is now a restaurant, where meals are served in a multitude of charmingly ramshackle rooms, and tales of ghosts and pirates add to the atmosphere. My husband and I ate lunch there on a cheerful sunny autumn afternoon, so it took a little more imagination to conjure up menacing pirate spirits. 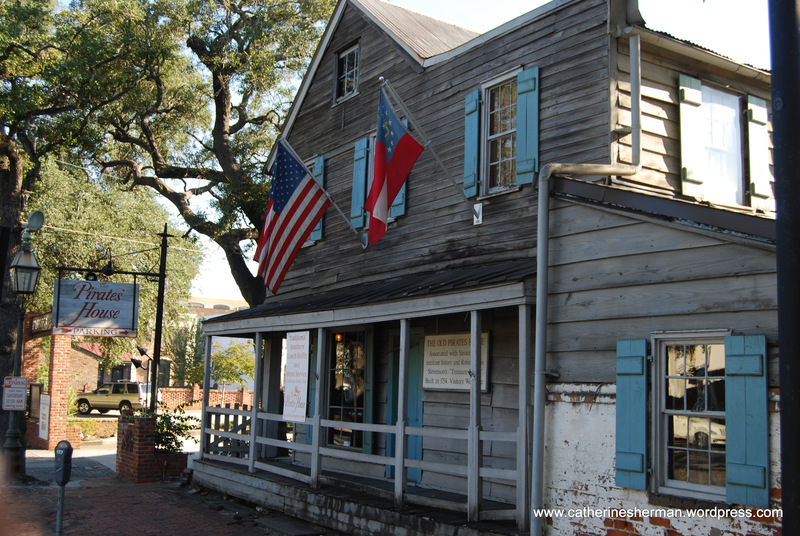 The history of “The Pirates House” in Savannah, Georgia. Shiver My Timbers. Here’s a card I designed in honor of “Talk Like a Pirate Day.” I made a stab at a little Pirate Talk in the inside text. In January of this year, I declared on this blog that I’d complete a book by the end of this year. I’d like to report that I’m making great progress — in my mind. Few words have made it onto my virtual pages, alas. We read so many grim books in my book club that we were delighted to read this hilarious, perceptive, heart-felt book in which we actually cared about the characters. I was inspired recently to get back to work when I went to a fund-raiser for a local hospital. (Thanks to my great friend Joy for inviting me!) One of the speakers was Helen Simonson, an author whose first book I’d read and really enjoyed. 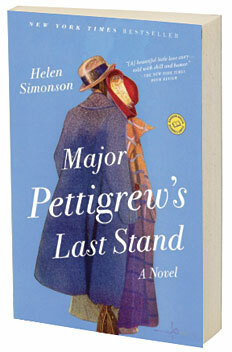 “Major Pettigrew’s Last Stand” was a delightful, touching and very funny book. I could easily picture this well-drawn English village and its characters, so different from my own neighborhood in many ways, but very similar in others. My book club read the book, and it’s been one of the few that we all liked. It’s a tough crowd. The title of Simonson’s speech was “Perseverence. ” Simonson said that it took her five years to write the book, “The first four and a half I didn’t do very much.” I’ve got the procrastination part of the equation pretty much taken care of. 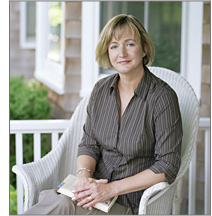 Simonson was in a graduate program, and her novel was her thesis. As the deadline neared, she really got into gear. I hope I don’t wait until November to get moving. Is there anyone out there who needs an online writing partner? We can grant each other master’s degrees when we finish! I’ll just be happy to finish. Simonson got a book deal through an agent within a week of finishing her book! After the luncheon, I got a chance to meet Simonson, but I didn’t tell her that I was a wanna-be novelist. We’re a dime a dozen, I’m sure. Helen Simonson’s Website. You can find Simonson on Facebook, too. As a writer and photographer, I’m often territorial about my words and images, so I can understand any creative person getting huffy or even litigious when their intellectual property is used without permission. If I want some pithy quotes, I use the words of a long-dead people, always crediting them, of course. There was no clue which element might have offended, so I pressed the POD site to find out. 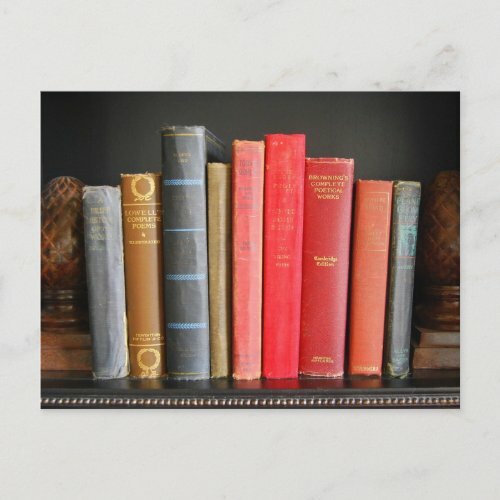 Was it one of the publishers listed on the book spines in the photograph? I couldn’t imagine that it would be any of the people I quoted. They’d all been dead at least seventy-five years, when copyrights expire. I realize that copyright issues are much more complicated than that (after all, lawyers are involved) and some copyrights can be renewed. I’ve recently learned that even many versions of the Bible are copyrighted. The King James version, however, is in the public domain. 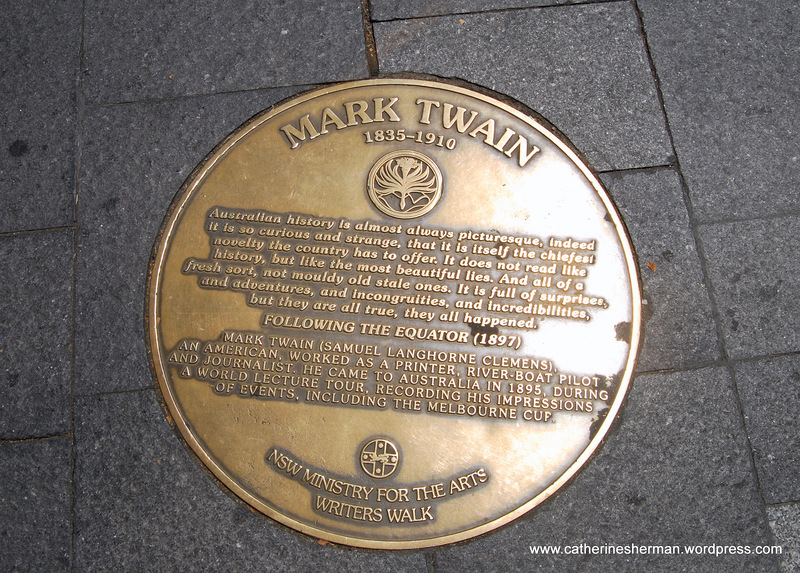 A plaque featuring Mark Twain's words about Australia is on Writers Walk on Circular Quay of Sydney Harbor in Sydney, Australia. Somehow I must have known I'd meet up with Mark Twain again when I took this photograph. Since I make no money from this blog, I hope Twain’s representatives don’t hunt me down here. I’m not even putting Mark Twain or his real name Samuel Clemons in the tags. Mark Twain was very concerned about protecting his work from pirates, even though he also fussed over nitpicking copyright laws. He wanted the profits from his works — and he was sure there would be plenty of them — to continue to go to his daughters after his death. In Twain’s day, copyright protection expired after 42 years. Twain is one of the most widely known authors in the world and is still kicking up a fuss today. A publisher recently republished a politically correct version of “The Adventures of Huckleberry Finn” by substituting the word slave for the N word, which provoked a lot of discussion — and more sales. In November 2010, the first of three volumes of Twain’s autobiography were published complete and unexpurgated for the first time by the Mark Twain Project a hundred years after Twain’s death. Twain had said that he wanted to suppress the publication of some of his more biting comments for a hundred years, but Twain shrewdly also knew that this new version would start the clock ticking on new copyright protection. The Mark Twain Project’s Discussion of Copyright and Permissions. Here’s a link to the revised greeting card minus the Mark Twain quote. I did use a quote from Abraham Lincoln and another from Kenkō Yoshida (or Yoshida Kenkō), a Japanese Buddhist monk, who died around 1350. I think I’m safe there, but you never know. All Hallow’s Eve. Lost, we creep along a dark road toward a lighted porch. A chilly wind rushes past, dry leaves dancing in its wake. We shiver. Is it the cold? Or is it fear? A dog howls. We hear rustling in the brush. “Hurry!” We almost reach the porch. My foot is on the step. The porch light begins to flicker. Behind us, the rustling becomes shuffling and scratching. I turn to see horrifying creatures descending upon us, staggering, groaning, screeching, grunting, howling and hungry. “Let us in,” we bang on the door. What are these monsters? Zombies! We’re doomed. Zombies have taken over the scary scene, devouring all of the other frightening creatures in the night. Ghosts, vampires, witches? Old news. 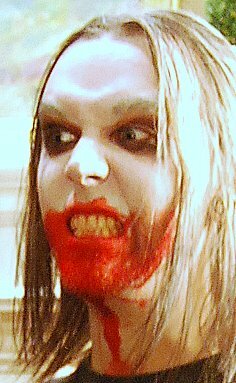 There are even acting and make-up classes for zombies to get that just-dead look in the eyes and the right amount of blood dripping from the mouth. But what is a zombie? Popular culture says it’s a flesh-eating re-animated dead person. But the original flesh-eating creature is the ghoul, from the Arabic ghul, which means “to seize.” A ghoul is an evil spirit or revived corpse that robs graves and feeds on human corpses. Zombies traditionally weren’t cannibals. Zombie refers to the “living dead” who were revived by sorcerers, according to folklore. Others never died but had their souls stolen by evil magicians. Zombies are docile, have glassy, empty eyes and lack will, memory or emotion. They aren’t the flesh-thirsty demons of the movies. A neurotoxin from a saltwater fish, called tetrodotoxin, can also induce a zombie-like state and may have led to some zombie stories. Why are people so fascinated with zombies.? Could it be that their vacant humanity can be more frightening than any alien monster? The worst zombie (actually a ghoul) is someone you once loved who has now turned on you. Who can’t relate to that horror? 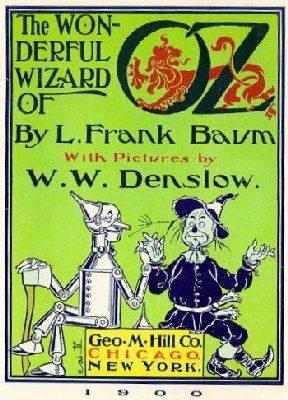 Scores of books and movies have been written and made on the subject. Last year, a nephew requested “The Zombie Survival Guide: Complete Protection From the Living Dead” for Christmas. You never know when a zombie might show up looking for more than a turkey leg. To sort out the differences, history and legends, go to Zombies and Ghouls. 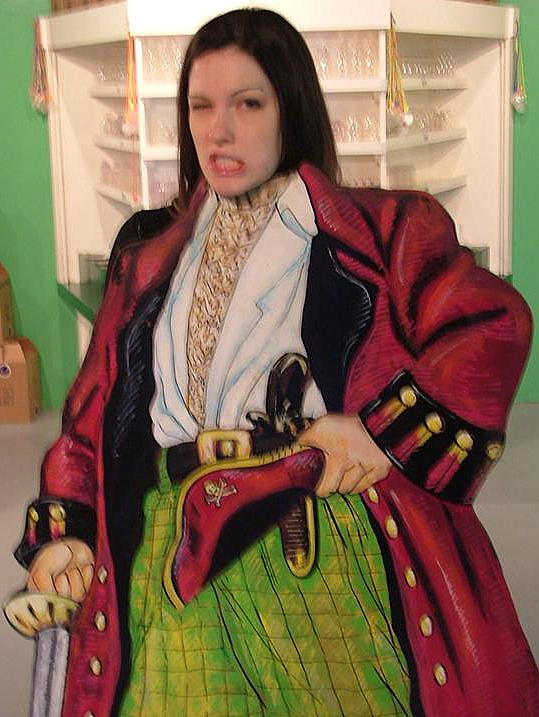 Avast, Me Hearty! It’s Talk Like a Pirate Day! Robert Newton as Long John Silver. Arrgh! Get ready to walk the plank if you don’t talk like a pirate on September 19 — the annual International Talk Like a Pirate Day. “Walk the Plank!” if you don’t want to talk like a pirate. Johnny Depp with his swishy pirate stylings as Captain Jack Sparrow in “The Pirates of the Caribbean” may be one actor who strayed from the Newton mold and fold. Depp credited Rolling Stones guitarist Keith Richards as his muse, but you can see a little of Newton in Depp’s version of a comically genial pirate hiding a devious heart. The Walt Disney version of “Treasure Island” was one of my favorite childhood movies. 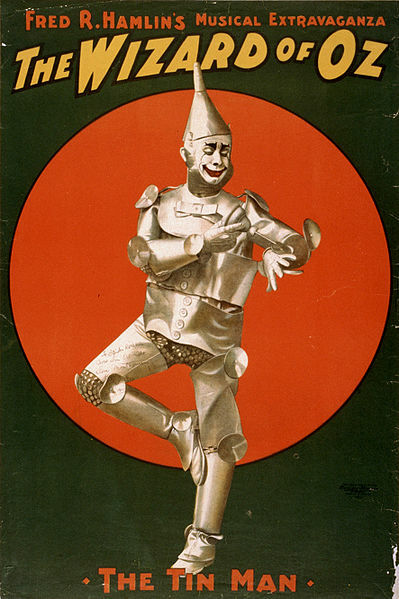 It was one of the first Disney movies to be shown on television when it was first broadcast in 1955. I saw the movie when “Walt Disney’s Wonderful World of Color” re-broadcast it in the 1960s. I remember it best, though, when it was one of the free movies shown on Friday nights during the summer at our small town’s football stadium. I fell in love with Bobby Driscoll, the young boy who played Jim Hawkins. I think I was more in love with the idea of adventure and tropical islands and hidden treasure. I’m a committed landlubber, but there’s something insanely exciting about jumping on a creaking, swaying little ship and heading off into the unknown on the vast and treacherous ocean. I can live vicariously through the sailors’ adventures without the risks and claustrophia. I’ve gone into a replica of The Mayflower and can’t even imagine being trapped below deck for months. I’m getting off topic here…..
Shiver My Timbers! 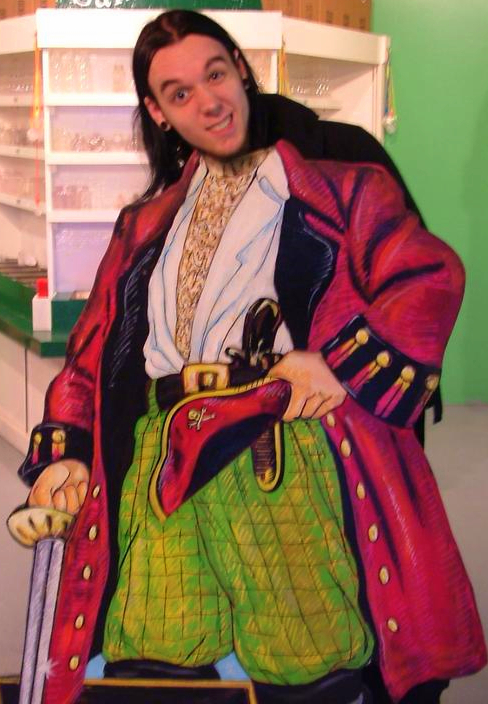 It’s fun to play a pirate! International Talk Like a Pirate Day was started in 1995 by John Baur (Ol’ Chumbucket) and Mark Summers (Cap’n Slappy) to be celebrated on September 19, the birthday of Summers’ ex-wife so it would be easier for him to remember. 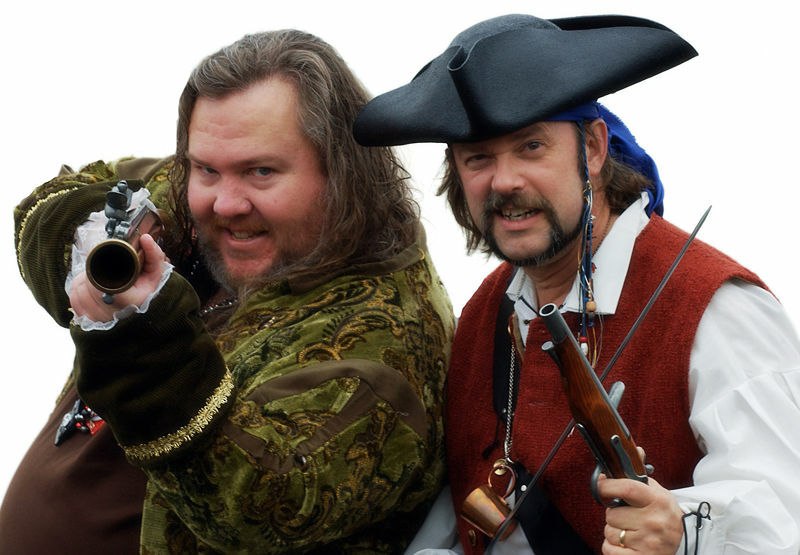 To find out more go to International Talk Like A Pirate Day which has links to everywhere you could possible want to go in the Pirate realm, including the official site, Robert Newton’s sites, Treasure Island. Ol’ Chumbucket and Cap’n Slappy, founders of International Talk Like a Pirate Day. The link also provides some tongue-twisting Pirate jargon, some of which comes from Robert Louis Stevenson’s book, “Treasure Island.” Stevenson invented many so-called pirate sayings, such as “Shiver My Timbers,” so that they would sound menacing but wouldn’t actually be obscene to his young readers. Other seafaring movies I liked were “The Bounty” starring Mel Gibson (1984) and “Master and Commander: The Far Side of the World” (2003) starring Russell Crowe. I also enjoyed the eight Horatio Hornblower made-for-television movies (1998-2003). 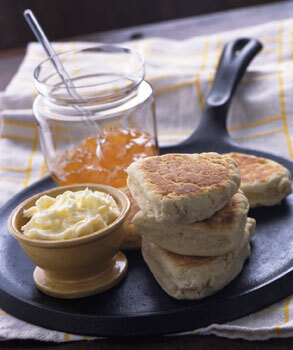 In 1960, Queen Elizabeth II of Great Britain sent President Dwight D. Eisenhower her recipe for “Drop Scones,” which she had promised to give to him when he’d visited her at Balmoral Castle. Eisenhower was an avid cook. 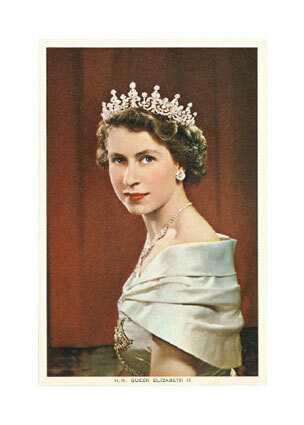 Elizabeth II doesn’t seem like a likely cook, but she was an auto mechanic during World War II. She could probably stir up a batch of scones, if called upon in the line of duty. A photograph of the recipe she sent him is in a book about Eisenhower entitled, The Ike Files: Mementoes of the Man and His Era from the Eisenhower Presidential Library and Museum, which was published by Kansas City Star Books and the Dwight D. Eisenhower Foundation. We already had a “history” with Eisenhower, though. My parents had taken me as a baby to Eisenhower’s presidential inaugural parade in 1953, when we lived in Alexandria, Virginia. Here’s Queen Elizabeth’s scone recipe. Beat eggs, sugar and about half the milk together, add flour, and mix well together adding remainder of milk as required, also bi-carbonate and cream of tartar, fold in the melted butter. The recipe was typed, but at the bottom, written in ink and underlined, was the line: Enough for 16 people. I don’t have the Queen’s instructions for what to do with the dough. Here’s a scone recipe from Epicurious.com that describes how to work, shape, cut and bake the dough. Blogging friend Paula’s photos of scones and jam inspired me on this topic. Here’s a link to Paula’s “Jamming” post. She also included a recipe for scones and more information in her comment below. Check it out. To learn more about the Dwight D. Eisenhower Presidential Library and Museum, which sells the book, go to www.eisenhower.archives.gov I don’t get any royalties. In fact, don’t tell them I sent you.